A roaring crowd at the Axiata Arena in Kuala Lumpur, Malaysia, was on its feet thanks to a pair of Malaysian favorites getting wins, perfectly capping off the preliminary portion of ONE: VISIONS OF VICTORY on 9 March. Here’s a quick recap of all the action that unfolded. The "Jungle Cat" prowled his way to a commanding unanimous decision victory over a game Rin Saroth. 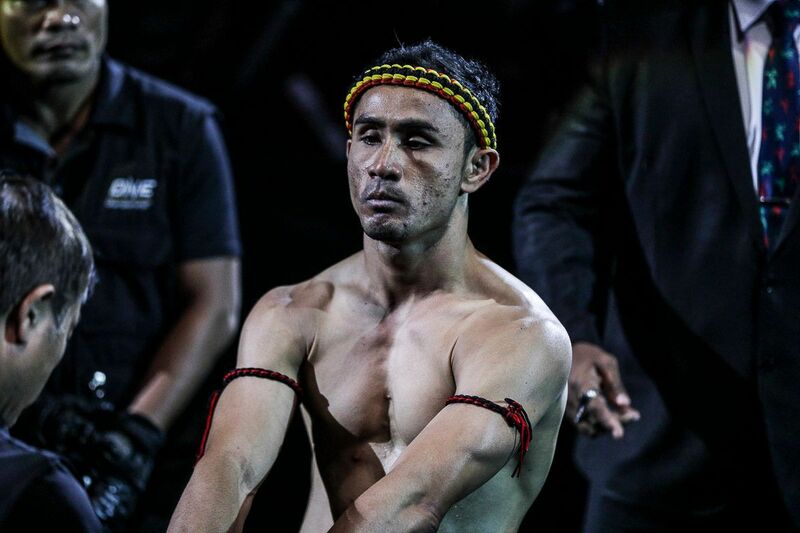 “Jungle Cat” Muhammad Aiman had a few new weapons to show off in his bantamweight match-up with Cambodia’s Rin Saroth. Aiman, who trains out of Bali MMA, has been working hard on improving his wrestling and overall ground repertoire. 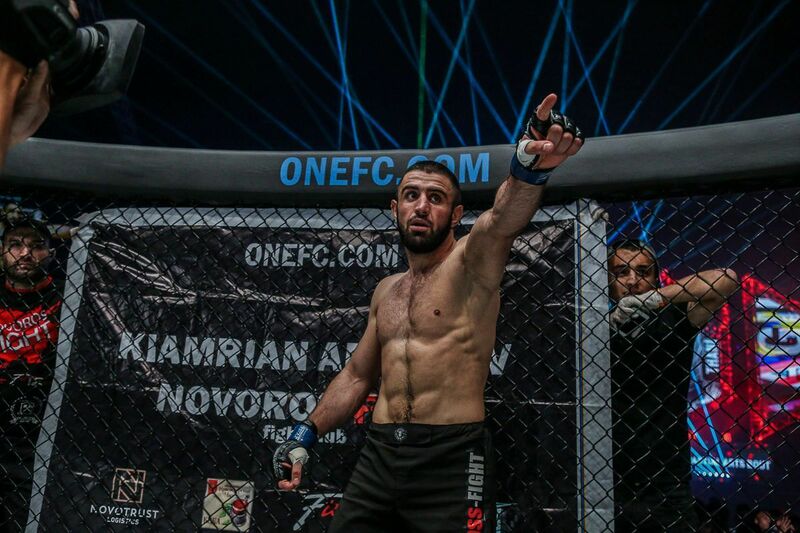 While he is always happy to stand and trade with an opponent, his vast improvements showed, and that led to a unanimous decision victory. The hometown hero was fast and explosive from the start, as he brought Saroth to the mat several times over the course of the contest. He even closed out the second round with a gigantic slam. 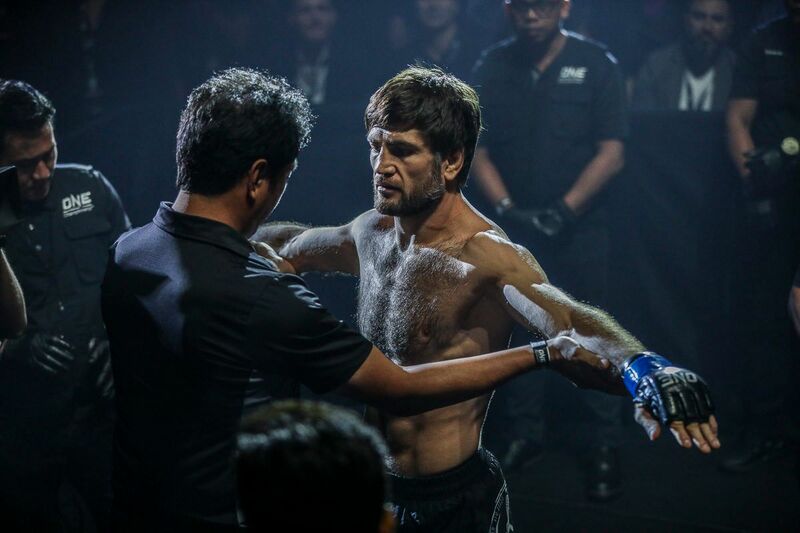 “Jungle Cat” remained in control for the majority of the bout by using his superior grappling, and he nearly earned a finish in the final stanza when he put the Cambodian down and fished for a rear-naked choke submission. Saroth survived, but that is all he did, as the unanimous decision went to Aiman. He moves his professional record to 4-2 overall, and finds himself on a two-bout win streak. Hometown heroine Jihin Radzuan pulls off an impressive victory with a beautiful triangle choke at 2:23 of round 2! 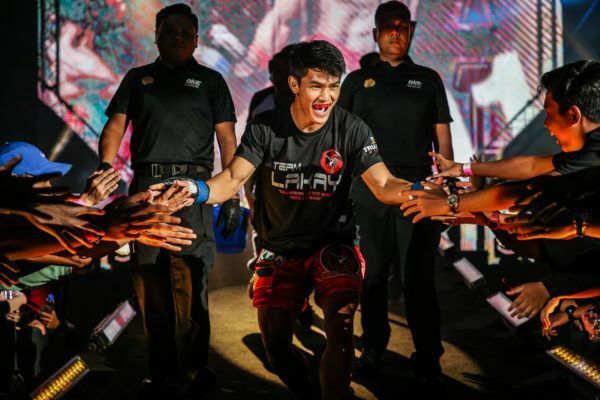 Jihin “Shadow Cat” Radzuan might just be the next young superstar in ONE Championship. 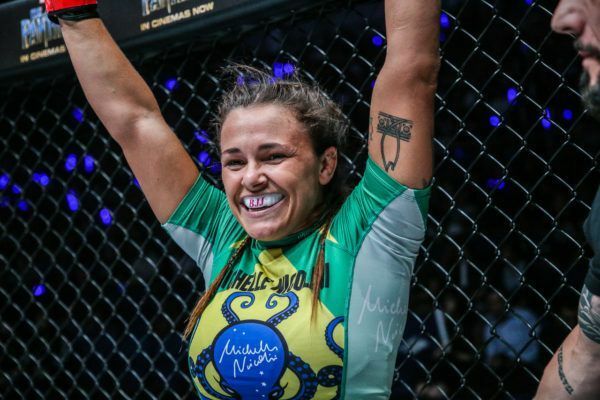 The 19-year-old Malaysian atomweight had a ton of hype behind her coming into Friday’s card, and she lived up to the billing with a submission victory over India’s Puja Tomar in front of a raucous crowd in Kuala Lumpur. While Radzuan comes from a Muay Thai background, she was looking to show off her ground skills, as she repeatedly looked to drag Tomar to the ground and test her submission defense. 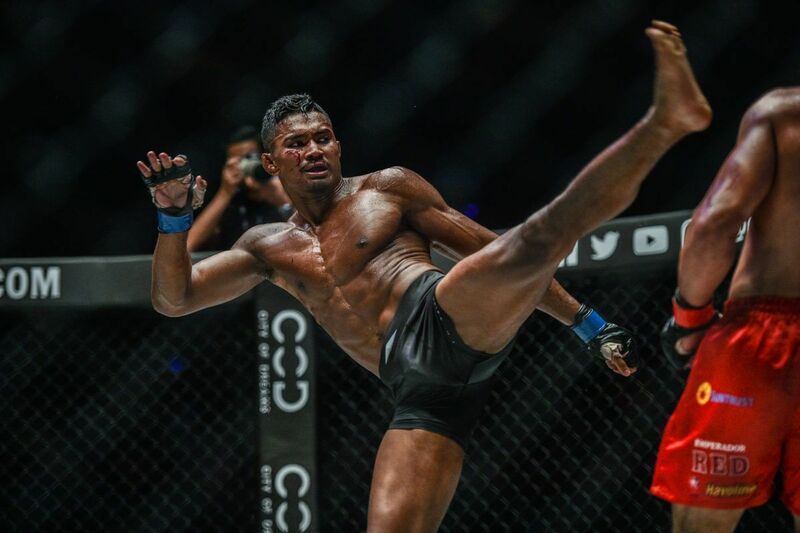 In the second frame, “Shadow Cat” nearly locked up an armbar on the mat, but the Indian competitor refused to give up, forcing Radzuan to transition into a triangle choke. As much as Tomar tried to ride out the submission, there was no escape this time. The end came at 2:23 into the second round, giving Radzuan her first win on the global stage of ONE Championship. Khon Sichan just earned a huge victory inside the ONE cage, as the Cambodian bested Indonesia’s Riski “King Kong” Umar in a catch weight showdown to kick off the event. 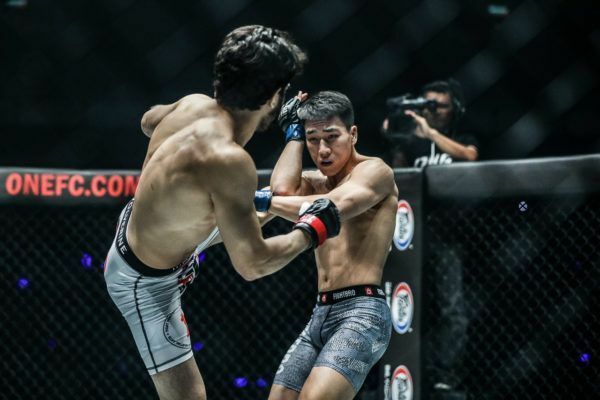 What was billed as a battle between two elite strikers soon turned into submissions being traded on the mat, with both Umar and Sichan nearly finishing the contest in the first and second rounds. Umar got the first near finish when he locked up a triangle choke in the opening round. It looked as if it might put the Cambodian away, but to his credit, he toughed it out before finally wiggling free. Then, it was a reversal of fortunes in the second frame. Sichan took the action to the mat, where he then fished for a rear-naked choke to put Umar away. The back-and-forth action continued into the final stanza, with the Cambodian landing another takedown before moving into the mount. It led to “King Kong” reversing positions just before the match came to an end. The judges did not have an easy job after such a close affair, but ultimately the nod went to Sichan by split decision. 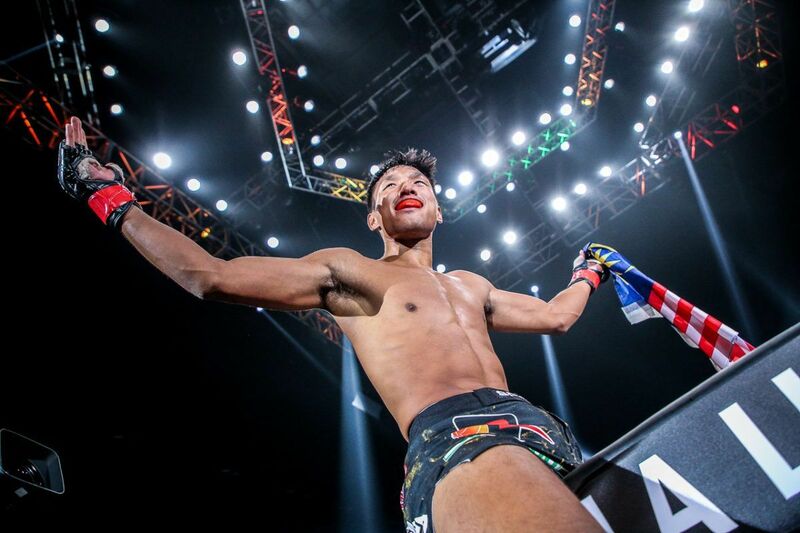 The Cambodian earned his first victory inside the ONE cage, while Umar suffered his first professional defeat.